Swarovski fans know each year there’s an annual range of Christmas ornaments. This year Swarovski has really outdone themselves. 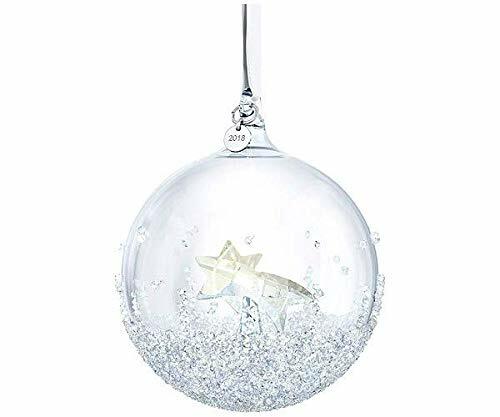 The 2018 Swarovski bauble, designed by Stefanie Nederegger is a hand-made Christmas bauble with a beautiful shooting star in the center. The bauble has hand-glued crystals making every piece unique and special. Use the white ribbon to hang it on your tree. We can imagine you can’t afford decorating your entire tree with ornaments like this, so this makes a perfect special gift, for a special occassion. This has got to be the prettiest Christmas ornament you can find this year, so make sure you give this one a special place in the Christmas tree.